This largely hilly and mountainous state to the north of Delhi is home to several iconic hill stations and while travel here is inevitably slow due to the sometimes tortuous roads, the rewards are significant. Most famous of all the hill stations here is probably Shimla which served as the summer capital for the British Raj towards the end of their imperial period. 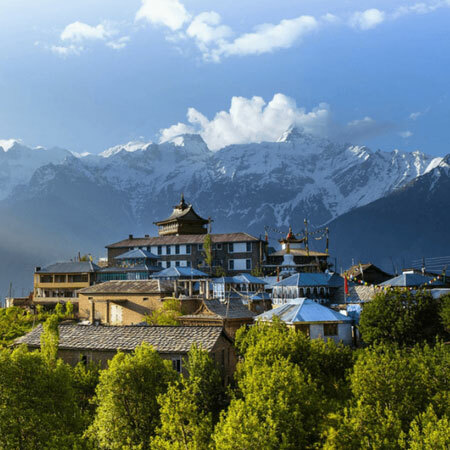 Other noteworthy get-away-from-it-all spots include Manali where the forests stretch right down to the edges of the town and Lahaul and Spiti with their serene Buddhist. Shimla can be approached on the Himalayan Queen ‘toy train’ which ascends steeply from the plains below- an unforgettable journey. Easier to reach, in the west of the state, you’ll find picturesque Dalhousie and, at McLeod Ganj, the home of the Tibetan Government in exile. Most of these places are best visited between late February and early May (crowds build up to bursting point as the main Indian summer holiday start in May). The monsoon months from June to September see access problems due to slips and so on.